How To Grow Hops - A Beautiful Climbing Perennial For Any Landscape! Looking for a unique perennial plant to add a little interest to your landscape, then grow hops! Hops have long been grown by homemade beer enthusiasts as a main ingredient for home brewing. But they are catching on as a great perennial plant choice for the landscape as well. Even among non beer-making enthusiasts. Hops are truly a hardy perennial that add instant beauty to your landscape. And can they ever grow quick! Hop plants can grow 10 to 15 feet in a single year, making them perfect for fence lines, arbors, and trellises. The fast growth can provide a stunning privacy block, or a great focal point to a yard in quick manner. 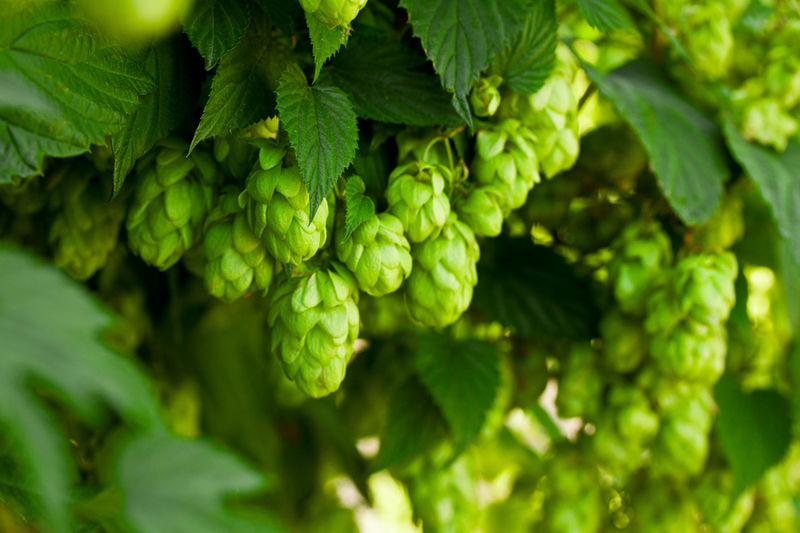 Making them even more special, the aromatic hop cones that form in mid to late summer add a whole new dimension to the plant. Most hop varieties grow best in growing zones 5 through 8. There are a few varieties that can grow in the less humid areas of zone 4 as well. Plants need room and support to grow to their full potential. Trellises, arbors, and fences are great to train vines up and off the ground. Hops are grown from rhizomes, which are small tube like roots. Although they can be grown from seed, it can be a tedious and difficult process. It is easiest to purchase a bare root rhizome, or even a potted plant for spring planting. Hops need a lot of sun to perform best. It is important to choose a location that receives at least 6 to 8 hours of daily sunlight. Before planting, be sure to amend soil with a fair amount of compost. As they grow, they can be divided to create more plants and to keep original crowns from becoming too large. A good rule of thumb is to dig up and divide rhizomes every 3 to 5 years. This not only helps the plant’s overall health – it also can keep them from becoming invasive. Hops do so well in some areas, that if left unchecked, they can take over. Planting Instructions: For an 8 to 12″ long bare root rhizome, or 1/2 gallon size transplant, dig planting holes about 12″ deep and 12″ wide. Mix back in equal amounts of compost and soil when planting and water in. Allow at least 6 to 8 feet between plants if growing more than 1 plant. Do you have a great gardening tip? Or perhaps you would like to share a few pictures and a story about your own personal paradise? Then email us today at info@thisismygarden.com. You can also use the “Feature My Garden Tip”button at the top of the website for your entry.